Remember that original Star Trek episode where Captain Pike was confined to a chair and couldn't speak? 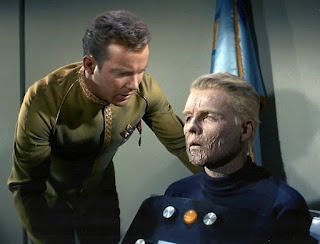 I find it a bit amusing that in the Star Trek universe they had the technology to do complete medical diagnosis with a hand-held scanner, but they couldn't give Pike a brain-machine speaking interface (pictured). Them: "What's your idea of the perfect date?" 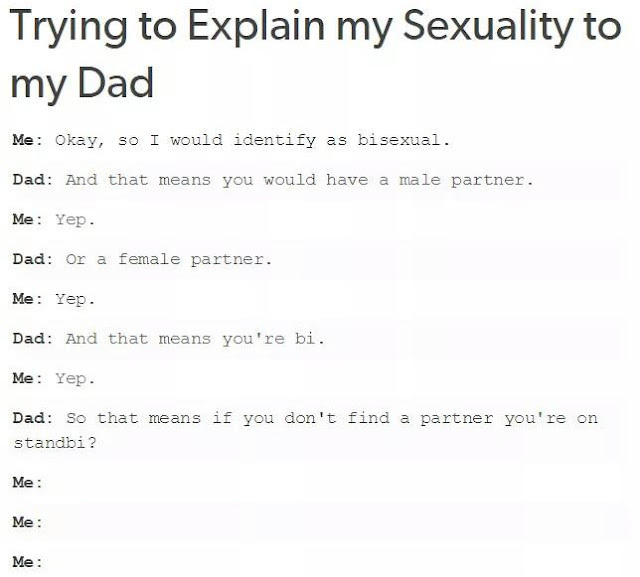 Me: "DD MMM YYYY. So like, 13 the number, then the month spelled out and the 4 digit year. No hyphens, no slashes." Ghost: [sighs] "I used to be somebody..........."
The worst phrase in history: "Failure is not an option." Colour is a pigment of your imagination. Once you lick the frosting off of a cupcake, you're left with a muffin. Muffins are fairly healthy. Enjoy! You're welcome. Is there anything funnier than pre-sneeze face? It's funny how our awareness of certain artists only comes into being via certain people, places, or situations. I'll list a few of my musical journeys below. In my early teens, while on summer vacation in Trenton, NJ, some kids down the street from my grandma's decided to play me every Chicago album they owned. While growing up, I didn't own a music collection. All the music I knew I had heard on the radio. Since my parents weren't interested in listening to rock or pop stations (my dad had a proclivity for the most boring radio of the time - CJAD 800 AM), it wasn't until I got my first portable transistor radio that I started hearing the current music of the day. 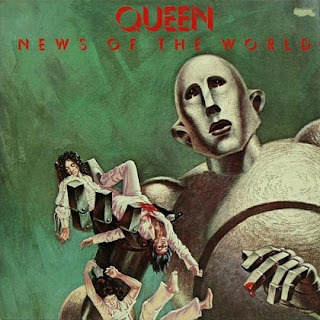 But of course, radio doesn't play whole albums, so I had to rely on my friends to introduce me to some of the rock greats of the late 1970s. My next door neighbours were metal rockers in the making (they would go on to play in Megadeath - not kidding). They introduced me to Queen. They even gave me tickets to one of their concerts they couldn't attend. My friends and I made incessant fun of the Bee Gees and KC and the Sunshine Band, but (and I can't speak for them) I secretly loved them. Once I had joined the military, I had the good fortune to deploy to Germany on an exchange program with the British Signal Corps. I went to Verden and met some great British lads. Their music was a real eye opener, as they were listening to stuff North Americans were oblivious to. Jean Michel Jarre. Orchestral Manoeuvers in the Dark (OMD). Kraftwerk. Ultravox. Madness. The Human League. ABC. Kim Wilde. Needless to say, those artists really broadened my horizons and when I got back to Canada, I was hungry for more music that was popular across the pond but hadn't yet made it over here. I befriended a music store employee in Kingston who was well aware of the European music scene and was introduced to The Eurythmics. Thomas Dolby. 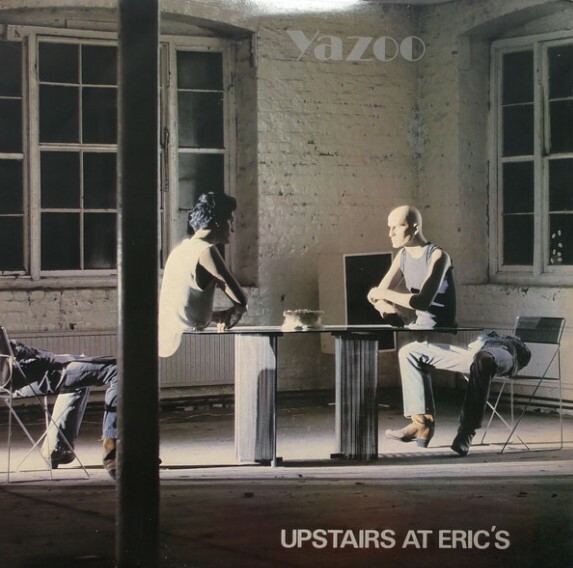 Yazoo. Howard Jones. Thanks to the movie Hi Fidelity with John Cusack, I discovered The Beta Band. My brother Bob made me aware of The KLF. Thanks to the Peanuts cartoons during holidays on TV, I investigated the legendary Vince Guaraldi Trio. Thanks to the movie Blade Runner, I checked out everything by Vangelis, including Jon & Vangelis. While in a record store looking for anything new, I heard Delerium being played over the store sound system. A student of mine in 2002 figured that if I liked Pink Floyd, I'd probably like Porcupine Tree. He was right. John Sakamoto used to have a music column called the Anti-Hit List based in Toronto and he introduced me to a lot of artists I otherwise would never have know about. Acoustic Alchemy. Afro Celt Sound System. Amel Larrieux. Au Revoire Simone. Bahamas. Belle & Sebastien. Black Box Recorder. Brazilian Girls. Caribou. The Cinematic Orchestra. The Dandy Warhols. Dread Zeppelin. Emiliana Torrini. Esthero. Fiona Apple. Ida. Josh Rouse. Massive Attack. Mum. Sara Bareilles. Super Furry Animals. Turin Brakes. The Like. The Flaming Lips. Quantic and subsequently Alice Russell. Nouvelle Vague. Muse. John also made me aware of mashups. My friend Gord introduced me to Shakey Graves. David Letterman had The Heavy on his show once. That's all I needed. In his new Netflix show, I was introduced to Lukas Nelson and Promise of the Real. Aware of the amazing radio in Los Angeles, I began tuning in to KCRW online. That led to the discovery of Vampire Weekend. Timber Timbre. Tame Impala. Rhye. Portugal the Man. Haim. Dua Lipa. I never would have heard of Kalle Mattson except that the trumpet player's dad is a military friend from way back. The movie The Secret Life of Walter Mitty introduced me to Jose Gonzalez. A friend from Loose Moose made me aware of Father John Misty. Lately, I've been checking out NPR's Tiny Desk concerts on Youtube. Daniel Caesar. H.E.R. 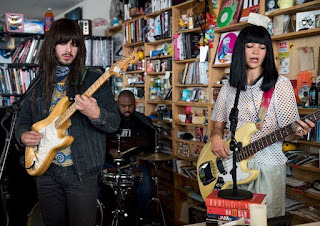 Khruangbin. Lianne La Havas. Sister Sparrow. Tom Misch. Yissy Garcia. Consumer Reports has named Tesla's Model 3 sedan the most satisfying car. On the 'national emergency' Trump invoked to secure border wall funding: "I didn't need to do this." 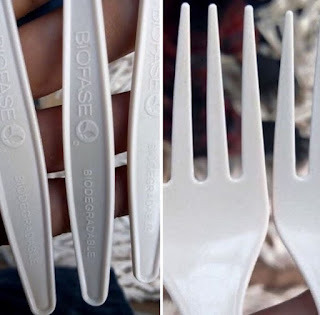 Biofase is a Mexican company that figured out how to make biodegradable single use cutlery and straws out of avocado seeds (pictured). The first Canadian music video to air on MTV was April Wine's 'Just between you and me'. The first artist to get two music videos played on MTV was Rod Stewart. Income needed to qualify for a mortgage on a detached non-condo residential property: Quebec City 51K; Winnipeg 57K; Montreal 65K; Calgary 90K; Victoria 149K; Toronto 159K; Vancouver 238K. All of the 10 fastest growing cities in the world are in India. In Japan, transgender people have to be sterilized before they are allowed to change their gender. KFC - It's not that bad! There is a humorous change.org petition that suggests the US should sell Montana to Canada for $1 trillion to pay off the national debt. 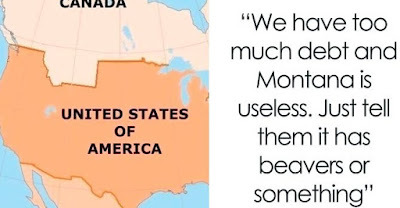 "We have too much debt and Montana is useless. Just tell them it has beavers or something," is the description, written by the petition's creator. Some comments on the petition site: "Montana will get legal weed, health care and decent hockey. It's a win win." "How about California? All those Wildfires are causing debt, let the Queen deal with it." "I'm signing this because I hope Minnesota is next." What does an Icelandic dog sound like? Bjork! Bjork! With the rise of self-driving vehicles, it's only a matter of time before there's a country song about a guy whose truck leaves him. There's an endless free source of energy waiting for anyone who points panels at the sun? 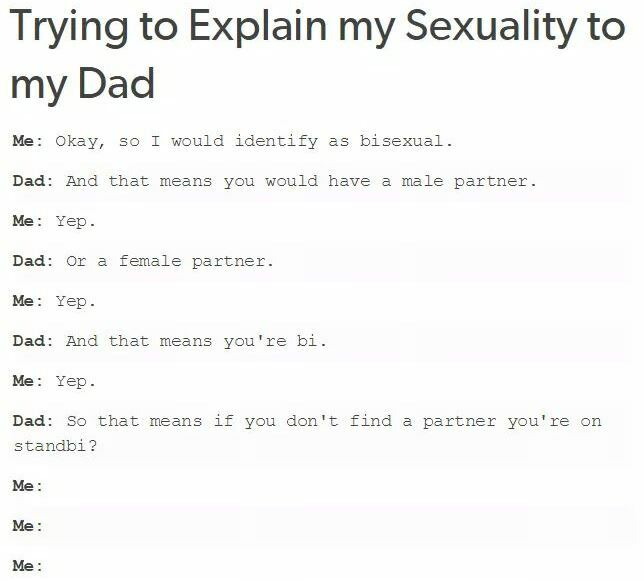 Pffft. Where's the fun in that? One thing not easier said than done - silence. Today's soup: Bailey's with ice croutons. 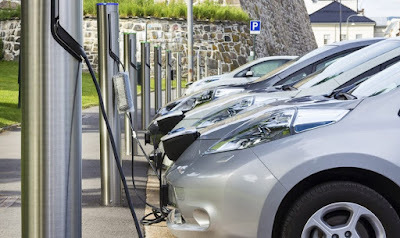 If you ever find yourself in a discussion about electric car ownership in Canada, you're likely to find yourself saying things or hearing things like "electric vehicles aren't practical in Canada because it's colder here", or "electric cars are too expensive", or "what's the point of having an electric car if it's hard to find charging places". You'd definitely be correct on that last point, not as much on the other two. In Canada, there are a measly 23,620 electric cars on the road. Trust me though, it has less to do with price and nothing to do with our colder climate. In the US, especially greener states like California, Oregon and Washington, the price of an electric car is offset by huge government subsidies. For example, in California, buying a Chevy Bolt will get you an instant $2,500 rebate and a whopping $7,500 federal tax credit, meaning you'd pay $10,000 less than your negotiated dealer price. That's pretty good. It should come as no surprise then, that there are over 512,000 electric cars in that state alone and now make up 10% of all sales. In Canada, some provinces have green vehicle rebates, but some, like Alberta, have none, and Ontario is scrapping their original up to $14,000 rebate under new Conservative management. BC might get you up to $5,000 in rebates, up to $8,000 in Quebec. In Norway, more than 183,000 electrics were on the road, which represents 10% of the entire fleet of cars. There are more than 40,000 pre-orders waiting to be filled. Norway also represents the greenest fleet of electrics, because 98% of Norway's electricity is generated by hydro power. 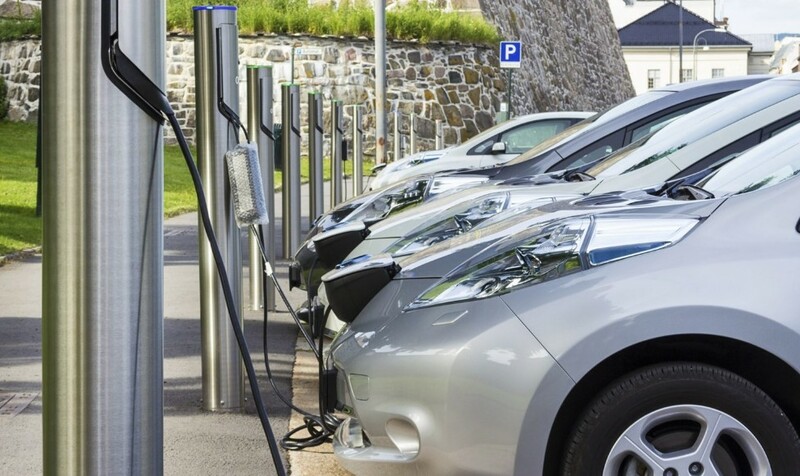 Electric cars were exempt the 25% VAT and any other purchasing fees, making them much more comparable to ICE (internal combustion engine) cars. Electrics do well in Norway even in winter, because while charging, an electric can be pre-heated so that no battery power is required to get the car to a comfortable temperature. The battery is only needed to maintain the warmth. The real hurdle to electric car adoption in Canada, IMHO, is the lack of infrastructure. Although we have a couple thousand charging stations, not all of them are publicly accessible. There are only about 120 Tesla stations, and they only serve Tesla models. California by comparison has a whopping 15,193 chargers (1/3 of all US chargers). To give you an idea of the difference, Vancouver, considered to be a very green part of Canada, has 5 Tesla superchargers spread between Hope and Whistler BC, with 5 more coming online in the next year or so. In the Los Angeles area, there are 24 Superchargers now, with an additional 43 more coming online soon. In China, there are 1,227,000 electric cars on the roads. They also have 213,903 charging stations. 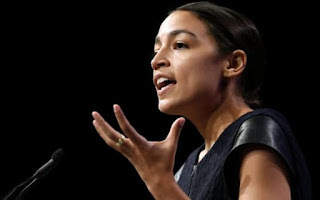 Almost 44% of Americans polled agree with the New Green Deal being proposed by Alexandria Ocasio-Cortez. 24.3% said they didn't know enough to decide. Higher quality chocolate makes a louder snap when you break a piece off. Google pays Apple to be the default search engine on the iPhone, a deal worth as much as $9.46 billion in 2018, for what's called "traffic acquisition costs". Canadian forests now emit more carbon than they absorb, partly due to the increase in fires and dying trees infested by disease and pests. Mars One, the reality show / one-way Mars mission that kicked off in 2011, is now bankrupt. Mission scrubbed! NASA's Opportunity Mars rover is no longer communicating with earth after a massive dust storm likely disabled it for good. It was designed to last 90 days and almost went 15 years. It's twin, Spirit, lasted 6 years. Sweden's 'Right to Leave to Conduct a Business Operation Act' affords Swedish employees who have worked at least 6 months at their full-time job the right to take an unpaid sabbatical to try creating their own business, as long as it doesn't compete with the business they worked for. It's one reason Stockholm is the leading European start-up hub. It's often argued that marijuana, if legalized, would be a gateway to harder drugs. Studies have shown that in fact it's smoking cigarettes before the age of 15 that is likely to result in trying hard drugs. Also binge drinking. Speeding is taken very seriously in Norway. Doing 150 km/h could land you 15 days in jail. The price of gasoline in Norway is 1.96 Euros per litre (CAD$2.95). That works out to $7.40 Euros per US gallon or USD$8.40. I occasionally browse Fine Art America looking for new art to hang. I keep coming across this one. This is the view we get driving south out of Del Mar toward Torrey Pines. I think it needs to go on my wall. No, I mean, what are you having? No, I'm having an egg salad sandwich. Dear servers/hostesses: Stop asking us how our day is going on the way to the table. Maybe I'll ask you how minimum wage is going. You can't tell a knock knock joke to a dog. They hear knock knock and all they do is bark like crazy. You don't so much land an aircraft as much as you perform a very controlled loss of speed and altitude. Randomized clinical trials, aka placebo drug tests, or as I like to call them, "trick or treatment". If cats could text back, they wouldn't. Wikipedia Peter Freuchen. Just do it. If you're having an animated discussion or argument on your phone in public, at least put it on speaker so we can hear both sides of the discussion and take a side. I moue in your general direction. There is an Irish restaurant chain called Supermacs that has opened around 100 outlets in Ireland since 1978. Recently, McDonald's decided that this small chain that never even left Ireland needed to be taught a lesson and sued them on the basis that "Supermacs" infringes on the Big Mac name. Which of course, is ridiculous. Well, McDonald's lost the case, because, of course they did. They never had a case to begin with. As a result, McDonald's lost the rights to the term "Big Mac" in the EU. And that's why Burger King of Sweden gets to troll them like this with no legal repercussions. In 2018, the Swedish academy awarded the Nobel Prize to economists William Nordhaus and Paul Romer for showing that carbon taxation is the most effective way to lower greenhouse gas emissions. There's an eight in the middle of the eight of diamonds! Supertramp almost always charted higher in Canada than in the US. Amazon may have up to 100 delivery jets by 2025. Many beaches on the Mediterranean are overrun by jellyfish because the bigger fish that eat them have been over-fished. Apple reportedly replaced 11 million iPhone batteries after that performance slow-down debacle. More coal-fired power plants were retired during Trump's first 2 years than all of Obama's first 4 year term. I am convinced that many restaurant servers purposely wait until your mouth is full before quickly arriving at the table to ask how the first few bites are. In Europe, he's called Bigmetre. Cigarettes are like firecrackers. They're perfectly fine until you put one in your mouth and light it on fire. Who's idea was it to put T and G so close together on the keyboard? Anyway, that's the last time I use 'regards' at the end of an email. If a redheaded guy works in a bakery, does that make him a ginger bread man? I'm not just playing stupid..... I'm winning. Is it possible for someone named Nick to have a nickname? Is it really whale 'watching'? Shouldn't it more aptly be called whale 'stalking'. Can I sell snow on Amazon? If anyone ever argues "Climate change doesn't exist because it's snowing", make them watch this video. Weather is what happens at a certain place on a certain day and time. Climate is the long term average of weather over 20 - 30 years. Copyright notices from big entertainment are no longer legally permitted to ask for a cash settlement to avoid legal action in Canada. If, as a Canadian, you are accused via an anonymous notice of sharing or accessing copyrighted material online, it is simply meant as a warning. You are under no legal obligation to do anything. Your ISP isn't even required to tell the accuser who you are. Nor is there any surefire way to permanently link a named person to an IP address. A 96-year-old Holocaust survivor is the front woman for the death metal band Inge & the TritoneKings (pictured). In 1918, Margaret Sanger was trying to promote contraception for women and was sent to jail for being a public nuisance. In 1919, the Eiffel tower was the tallest building in the world. In 1919 women could finally vote in the US for the first time. Women Canada-wide would get the vote in 1921, but not Asian or aboriginal women. In 1919 movies were silent and Charlie Chaplin was THE movie star. In the 1918–19 season, the Montreal Canadiens of the NHL (only 3 teams!) faced the Seattle Metropolitans of the Pacific Coast Hockey Association for the Stanley Cup amid the Spanish influenza pandemic. The series was called off after 5 games when numerous players became ill. Joe Hall of the Canadiens, died a few weeks later. In 1919 the US finally had Air Mail. The aircraft followed arrows formed on the ground when there were no landmarks to identify the route (very common in the prairies and foothills).